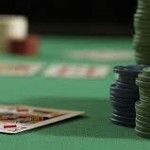 Poker On the Decline – Is Online Poker Really Dying Out? It must be a new trend — declaring whether or not something is dying out or thriving. We usually ignore it…all the way up to when people star talking that way about the world of online poker. Given some of the poker related legal troubles that have been playing out in the press lately, we understand that some people are genuinely worried about the future of online poker. However, we really don’t think there’s anything to worry about, honestly. You see, poker has grown so high in popularity that the sheer amount of people playing make sit hard to police. For every site that’s shut down, new ones pop up. When you think about it, poker software isn’t that hard to set up on a server. People will pass around a site if it’s good, and that means having the right security measures in place from every angle. Instead of feeling like it’s impossible to play poker online, you should start looking at a few places that you can play. You want to have your main site plus your backup site in case anything were to happen to your main site. It’s not the most idea situation, but it’s one that can really work for you. 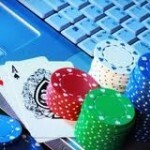 Another reason why the online casino world isn’t going anywhere is because the marketing is sound. When you step into an online casino it’s all about having a good time. You don’t have to think about work, you don’t have to think about any of the stresses that are bothering you. You just get to sit back and have a good time. This is something that can be very appealing to people, if you really think about it. You just need to make sure that you are building the best casino experience possible for yourself. It’s easy to play into the fears that the media is trying to give you and stop playing. However, until you personally are incurring some sort of risk, then you need to focus on having a good time. Read casino reviews and don’t be afraid to move to another casino that has more of what you’re looking for. If the casino of your choice doesn’t do enough tournaments, then feel free to move on to a casino that actually does. The social experience is part of the online world of poker, and that’s another reason why poker online is going to be alive and well for a very long time. People all over the world can meet up over a common interest and get to know each other. It’s something that’s fun, competitive, and profitable at the same time. You can make money from your poker hobby, which is something that definitely keeps the idea of gambling online alive. Is this any substitute for the glittery experience that offline casinos offer? Not really — they both have their advantages and disadvantages. You would be hard pressed to recreate the casino experience in your living room, but if you have a laptop you can play poker all over the house, meet new people and have a good time all the time — why not start your poker career today? You’ll be glad you did! One of the first rules of poker is that when you get started, you need to play hard, you need to play strong, and you need to play long. What do we mean by this? You will need to really step back and dive into poker in a way that’s aggressive — especially if you really want to earn big money. It’s too easy to end up not getting the money that you deserve because you got lost along the way. As you might have learned already, poker is more than just cards. It’s about the battlefield of the mind, and how much control you have over your own emotions. It’s too easy to end up making decisions in poker based on your gut and your heart rather than your head. There are times where gut decisions make sense, but most of the time you will need to be logical. There are people in the world of poker that will be preying on any and all of your weaknesses, so the best betting tips that you can learn is simply this: you don’t want to take anything in poker seriously. The truth is that you will need to make sure that you don’t take anything seriously because people will turn it against you. They will make it hard for you to do anything in the world of poker because it will immediately become obvious that you’re someone that can’t control their own feelings. When you start feeling like you’re getting too serious about the game, you need to step back. Analyze your hands and really think about what your goals are in poker. Are you playing for fun? if so, then you might want to step back from paying for real money for a while, at least until you’ve really gotten a chance to think about the weight of your decisions. Sometimes it can be helpful to take the money equation out of it and just play for chips and maybe a few prizes rather than making it a serious money venture. Yes, you can make big money in poker but that definitely takes time to really learn the game big time. If you’re really feeling raw, remember that poker isn’t just about cards — it’s also about people too. It can be helpful to really take your time and spend time off in the community boards. You can talk strategy if you want to, but some people like to get away from poker while still being around people that understand all too well what they’re going through. That’s right — veteran poker players can sometimes take it personally when they lose the game of poker. It means that you don’t want to think that you’re the only one that goes through it. You’re definitely not alone. In fact, it’s safe to say that there is a phase during your poker learning time where you’re going to take every defeat personally. It’s the ones that manage to get out of this phase through clear thinking that actually manage to do more than just sit and complain about how things aren’t fair. So when you start sliding towards high emotions, remember this: you don’t want to take online poker personally! Now go play! Poker is something that has captured our team’s attention for a long time. Even when we were kids, there were many nights that we spent playing poker with little fake chips, all the while dreaming of the day where we would be able to play in casinos and even online — that is, if there was an Internet, of course. Now that we’re all older, the rise of the Internet has made us even more excited about poker. However, it’s also made the game far more competitive than it’s ever been. This is because the Internet is also a great learning resource. So the people that you’re playing online will all be ready to play you head to head, and that means that you will have a lot of work cut out for you if you’re not careful. You need to be as ready to go toe to toe in a serious way as the competition. Every poker player knows that hindsight is definitely 20/20. If you’re not sure how to get the ball rolling, there’s always turning towards the well of advice that just about every poker player can give you. For starters, you need to check out this list of the top three things that we wish we would have known before really getting into online poker. Competition is one of the first things people don’t really think about when it’s time to join the ranks of online poker players. With all of the great bonuses out there, people think that it will be a cakewalk to play poker, but they find that they are quite mistaken. It’s one thing to play poker with a few friends a few times a week, and it’s a completely different story to play with people that analyze their hands and think in terms of mathematics. You can beat the competition, but the first step is to acknowledge that you really do have competition that you will need to contend with. Why try to wait till the last minute before you know for a fact that you will have what it takes? What we really mean is this: don’t rush into playing high stakes poker online. In fact, don’t even rush into playing low stakes poker online. Play a lot of practice games. Get an idea of what the system will be like. Get an idea of who you will be up against. Get some time to study your moves and track your progress. Spend some time in forums asking what went wrong and what went right — you will definitely be glad that you did! Money is one of the firs things that we overlooked when we were thinking about playing poker online. It’s really easy to do, so it’s not like you should be embarrassed if you’ve made the same mistake. You will need to just learn to move past it by really looking at bankroll management. Do you really want to go all in before you even see what the flop looks like? Do you really wan to go all in just because your gut tells you to? Definitely not. You will need to use poker mathematics and statistics to determine what the best option really is, rather than just assuming that you will have no problem beating each and every hand that you come across. You also want to make sure that you’re not psychologically getting sucked into the game. One of the members of the team had a really bad problem with online poker — they would spend money from their main household account to fuel their poker playing. If you really want to last in this game, you will need to make sure that you set boundaries. Create your own little account and have it earmarked only for your gambling. This is the best way to ensure that you will be able to have fun with your online poker, without having it take control of your life. Don’t forget to take advantage of the fact that you will be getting welcome bonus packages as well. You don’t have to feel like it’s impossible to get a little extra money to enjoy more poker with. Check out a casino review guide before you sign up with a poker place, because it’ll tell you immediately what to expect when you sign up for the casino you like best. If you’re not focused 100% in the online poker playing game, you will burn out before you’ve really had a chance to figure out if you really have what it takes for playing poker online. You need to be on your toes because there are really so many different players out there and everyone’s got different skills. If you underestimate your opponent simply because there’s less money at stake on the table, you will end up losing a lot of your bankroll before you’ve really had a chance to make it again. Thankfully, you can get things done in a big way as long as you’re willing to focus. Does this mean playing a few hands? Only if you mean playing a few hands a day. You will need to play a lot of hands over time before you get good enough to sit down with some of the best players. The reason why this is the case is because you will need to break out of the habit of playing based on your gut or emotion. It’s better to walk away from a potentially large pot than it would be to bet everything you have and lose on a bad beat or another ridiculous poker play. Overall, these are just three tips that we thought of that would be ultimately useful for you in your quest to be a better poker player. If you really take the tips here to heart, there’s really no reason why you won’t be able to be a great poker player in virtually no time at all! 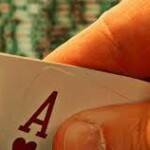 Why is online poker such a favorite among gamblers seasoned and newbie alike? Well, there’s just something magical about poker. It’s been described as the perfect blend of luck and skill, where seasoned professionals in the game can go head to head with rank beginners — and the beginners actually have a chance of winning some serious money. Speaking of money, you’re unlikely to find a game that gives you as much chance to win big the way poker does. Even though there are some casino games that are much more lucrative than poker, poker is one of those games that give everyone a fair chance to make money. If you were to play other casino games, you’d find that the money is usually locked up by a small group of players that really know the ins and outs of the game. When you decide to play poker online, you’re actually stepping into a different world of poker than someone that’s just playing home games or going to the local casino. For starters, you have access to a lot of information about your poker game, much more than you would if you were just sitting at the tables. This gives you the ability to really make sure that you’re prepared to really take home a big pot of money. You can use software to study your poker games as well as to make predictions about the game, which helps you develop a better concept of poker theory than if you were playing poker in a non-digital setting. 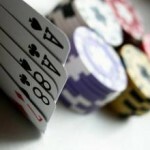 Will you lose all sense of community by playing poker online? Absolutely not! You will still be able to get your sense of community by interacting in the chat rooms as well as on online forums where you will need to make sure that you keep your eyes and ears open. The biggest reason why you will want to stay aware on a forum is that many people give away their poker techniques in the forum, which you can use to strengthen your position on the tables. If you’re not sure where to start with poker online, you might want to try a casino review guide — it’s the easy way to really make sure that you’re making a good play at the tables. Overall, if you’re still unsure that poker online is a good fit for you, there’s only one way to find out — go out and play! When you play poker offline, you get a choice in who you want to play with. You may decide to only play people that you think you are capable of beating. However, when you play online, you are much less likely to know who you are playing against and you may feel that it is a risk because you have no idea hat the skill level is of the people you are playing. In some ways this can make the game more exciting, as you could easily win or easily lose. However, you may feel that you do not want to spend money on games when you have no idea of the skill of the opponents. 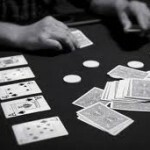 It is therefore worth carefully choosing the room that you play poker in. Some have certain skills associated with them, for example there might be a novice room, an intermediate room or an advanced players room. This should help you to know a little about who you are playing against. You will also find that as you play on a particular website, you will get to know the players there and you will begin to decide who you do and don’t want to play against. It is just the same as when you play with friends and you need to get to know their style of playing and how good they are. In the sense of playing other people, it can be quite a different game to playing offline. If you are used to playing in a casino online against strangers, then this could be similar but playing with a group of friends is quite different because you know them. However, it is an aspect of playing online which many people find good, because not only do you not know what to expect from the other players, but they also do not know what to expect from you. This means that they will have no preconceptions of you and this could really work to your advantage. Building an Explosive Year in Online Poker, Step by Step! If you’ve been playing online poker for a while, then you know that it’s really the little things that you do and the small steps that you take that truly combine to create big gains in your poker performance. However, just because you’ve been playing for a while doesn’t mean that you automatically know how to get these gains for yourself, or even that you will be able to get these gains on your own power. What is meant here is that in order to reach the next level and the level after that, then you will definitely want to make sure that you really get the right information the first time. What is the cost of inaction? Plenty. Keep in mind that you aren’t just competing against your own strengths and weaknesses — you’re competing with real players. If you aren’t constantly seeking time to refine your game, then it’s really only a matter of time before you get left behind. All casino games are filled with jargon — but none are filled with as much jargon as the game of poker. Indeed, you will have your work cut out for you as you really learn the terms for each and ever component of a good poker game. When you’re just beginning your hobby as a poker player, this can be overwhelming. However, you will need to gain familiarity as fast as possible so that you will get the best advantage when you decide to play against other people. It goes without saying that you shouldn’t allow the jargon of online poker to throw you off, or make you feel like you don’t have what it takes to really do well at the tables. It will just take time before all of these terms make sense. The more you play and interact with other players online, the easier your poker playing hobby will actually be. 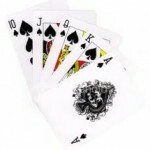 The basic terms of online poker are similar to offline poker. For example, both styles of game play refer to the community cards, which are the cards that first hit the board. In the case of Texas Hold ‘Em; this is divided into the flop, turn, and river. The flop are the first three cards that hit the board, the turn is the 4th card that hits the board, and the river is the last card that hits the board. Many poker games have been won by that 5th card, so don’t think that the game is immediately over once the flop hits the board. Knowing these terms will help you greatly when you start looking into poker theory because you will need to take different actions based on not only where you are at the table, but what stage you are in the game. The actions that you might take at the flop level could be far different than that of the river-stage, where that last card determines so much of the gameplay. You also have terms like big blind and small blind, which are forced bets that certain players have to put up depending on their place around the table. It’s usually to the left of the dealer, but some poker variations state otherwise. 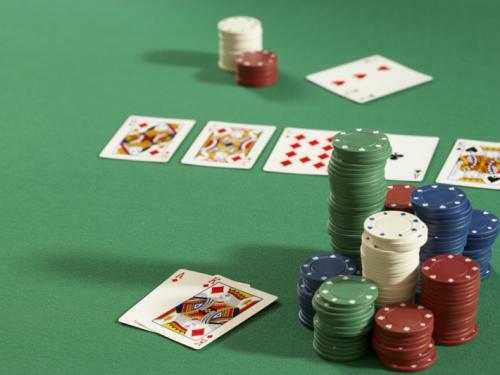 Overall, there is a lot to do when it comes to learning the nuts and bolts of online poker. However, before you really do anything else, you would really do well to learn the jargon of online poker. If you really take the time to learn the jargon of online poker, there’s really no limit to what you can do! Many people love online poker because of the social side. Although it can be a very serious game, it can also be a lot of fun for those who just play because they enjoy it. Most poker websites have chat rooms so you can talk to people about all sorts of things. You do not have to talk about the game, although some will prefer to. A lot of poker websites will have themed chat rooms where you can go to discuss certain things. Rules are not too strict but you will find that the conversation may tend to steer towards the theme of the room so it is good to pick one that you are interested in. It is amazing how open people can be when chatting on line and although you should be careful about how much information you give out to people, it is a fantastic way to make friends. You may even find that you end up getting on really well with someone who lives across the other side of the world or you meet people who live in your town. Many people have gone on to meet people face to face that they have met online and even ended up marrying them. It is great to use a chat room that will allow you to meet people who have something in common with you even if it is the poker game that you like so much. The types of chat room and how much they are used will vary from site to site and so if a good chat room is something you are looking for in your online poker site then you need to make sure that you pick the right site. It might be a good idea to read some site reviews and then visit various ones to get a better idea of this. One of the most interesting things about playing poker online is that there a multitude of different perspectives from which to study the game. One of the first things that you will need to do when you’re starting out is to set realistic goals. At first glance, you might wonder what realistic goals actually mean in the greater world of poker. In a nutshell, it actually means a few things. First and foremost, setting realistic goals in poker means knowing your limits. When you’re just starting out, it will be difficult to become someone that sits for the World Series of Poker or the World Poker Tour. This is because you will still need to make sure that you can actually hold on to your money to get to that point. Controlling the psychological aspect of online poker is very important. Even though people can’t see your face, they can read your actions and predict what you’re going to do based on the actions that you’ve already made. For example, if you only raise when you have a good hand, this means that they can fold and save their chips for when you don’t have a strong hand. It’s completely valid to mix up your strategy every now and then so that people aren’t catching on to your moves. Back to the subject of setting realistic goals, you will need to look carefully at the money that you actually have on the line. The bigger your bankroll, the more sustainability you actually have on your side. You need to make sure that you wait until you have a sizeable bankroll before you enter the world of online poker. If you try to start with a small bankroll, you will spend more time fighting to move up than you will if you had just entered with a lot more money to spare. Also, when you only have a little bit of money to spare, you tend to have a different psychological approach to it than if you have more than enough. Overall, setting realistic goals in online poker is definitely a good thing. It may take you a little bit of time before you’ve set a chain of goals that you can actually fulfill. However, with the right level of planning you’ll have no trouble rising higher and higher in the world of online poker — why not get started today and see just how far you can go? When most people think about online gambling, they think about hours upon hours of being alone with nothing but a computer screen to keep them company. This is not always the case. You can actually bring your local friends together to play online casino games. 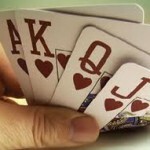 One game stands out when it comes to online entertainment: poker. Playing poker online is all about making sure that you will have people with you that can laugh, cheer, and even get a little hot under the collar as they surrender themselves over tot he mercy of the cards. 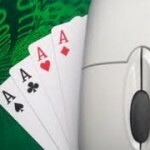 Building your perfect night of online poker isn’t difficult at all, especially with today’s technology. For example, if everyone has portable computers, this is pretty easy. You can invite your friends over for a night of online poker where everyone brings their laptop. From there, you will want to make sure that there a few things in place. First and foremost, you will want to make sure that you pick a reputable casino that can help you really make the most of your experience. It’s better to play at a solid casino that has excellent reviews than a new casino that hasn’t been tested yet. Even if a deposit bonus sounds tempting, the reality is that there are plenty of great casinos that offer such bonuses. There’s no need to take unnecessary risks. Sometimes you can even qualify for a referral bonus if your friends don’t already have accounts at the online casino you choose. This is something that you will need to double check on with your specific casino. From there, you will want to make sure that everyone is comfortable. For example, if you know that one of your friends doesn’t know a lot about poker, this is a great opportunity to support them as they learn how to play the game. You’ll also want to make the experience fun by having plenty of party food in the house. Make sure that you focus on “finger food” that can be eaten quickly so that you don’t lose a chance to get in on the action. It’s also important that you make sure that you don’t wait till the last minute to pick up comfortable seating. Since poker tournaments can take a while, it’s never a bad idea to get settled in for the night. Overall, if you invite your friends over for a night of poker, you will definitely not regret it!